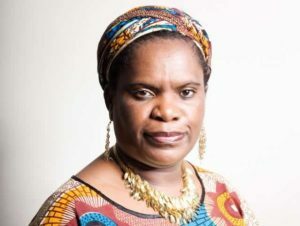 As a woman leader, I have been following political events, issues, confusion and complications in Zimbabwe and amongst Zimbabweans in the diaspora in the past years, months, weeks, days, hours, minutes and seconds. I read a lot. I listened to many. I discuss with many whether openly or in private. I speak on many forums and get the same question which way for Zimbabwe. My answer is as long as we don’t solve the political crisis we don’t solve the social and economic challenges. I strongly go back to my points I have made that Africa needs to create a democratic template where people participate in choosing leaders not necessarily based on political parties only. That said one may ask then what is the way forward for Zimbabwe, I suggest we reconcile with our bad past and create a brighter future. Whereas we can change the future, we can’t change the past and we can’t do much to reverse it. As a student of critical thinking I tried to sum my thoughts in a poetic verse and on Zimbabwe I feel the cold war has to stop and we create peace and build the country. Time has run out. There are times when you look at a conflict and think how best it can be resolved and you find the options are very limited to peace. Once we solve the political issue all others issues get solved as well.